There is a new chapter in the story of the lawsuit which was brought against WWE, Charlotte Flair, and Ric Flair and Brian Shields -- The author of Second Nature. Riki Paul Johnson, the ex-husband of Charlotte Flair brought a lawsuit against the three parties due to the multiple 'false' allegations which were brought against him in the book. For a long time, he has denied that he was portrayed properly in the book regarding Ric Flair and Charlotte Flair's lives. There is now an update about the case. Charlotte Flair and Ric Flair's book, Second Nature, stirred up a lot of controversy as it addressed the controversial lives of the daughter-father duo. It talked about tragedy, personal struggles, and family tragedy. 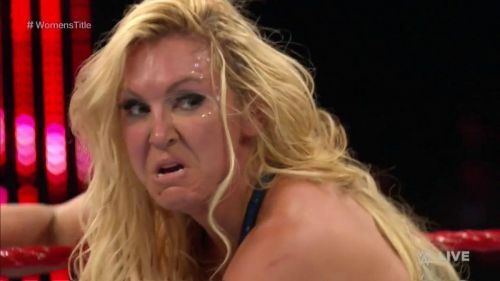 It also brought up a lot of issues from the life of Charlotte Flair, and her married life, which caused problems in the life of her ex-husband. Riki Paul Johnson said that his family had suffered humiliation due to the way he was presented in the book. He also revealed that his family was made the subject of shame and ridicule, just to make Charlotte Flair appear better, against his portrayal of the 'villain'. The book had claimed that Johnson was sterile, lost two jobs due to his use of drugs, as well as physical and psychological abuse. When the lawsuit was first filed, WWE promised to 'vigorously defend' themselves against the 'meritless lawsuit'. According to reports by PW Insider, The United States District Court, Western District of North Carolina ruled on the 14th of March that Ric Flair and Brian Shields had until the 28th of March to respond to the claims that were brought against them. However, on the 15th of March it was ruled that Riki Paul Johnson had until the 22nd of March to submit an amended complaint. In that case, the case might continue for a while, as the defendants would get more time to respond. The case will play out for a bit longer in the legal system before a decision may come from it.